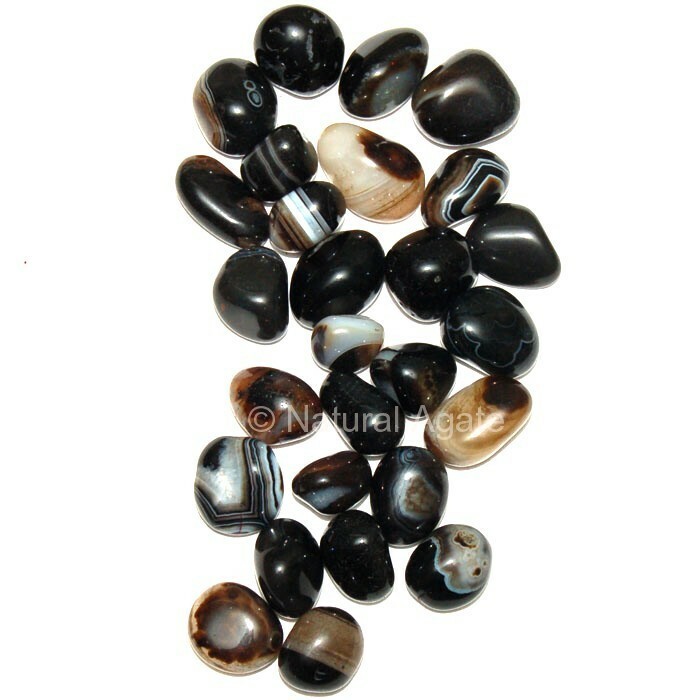 Buy Black Onyx Tumbled Stone online at Natural Agate. Keep Black Onyx Tumbled Stone near you to imbibe positive attitude and to enhance inner-strength. Use it decorate your house and it will add charm to your house. Black Onyx crystal assists with emotional balance, self control and relieving stress. Black onyx tumbled stone helps with hearing and listening to our inner voice. Black onyx helps us let go of the physical, relax and flow with the natural energies, bringing higher inspiration. It has been used for wound healing, childbirth and to increase stamina and self-control. Black onyx is associated with the root chakra and the astrological signs are Cancer and Aquarius. This black stone is available on Natural Agate.